Vær sikker på at få en god pris på Lamblion Holiday Apartment - vurderet til 8,7 af andre gæster. 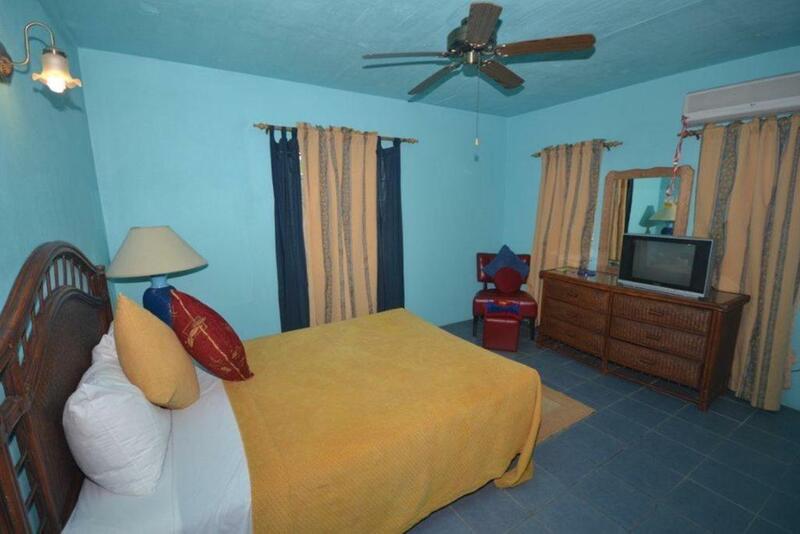 "Bed was good envrioment wasgood most of all the host was friendly n approachable." 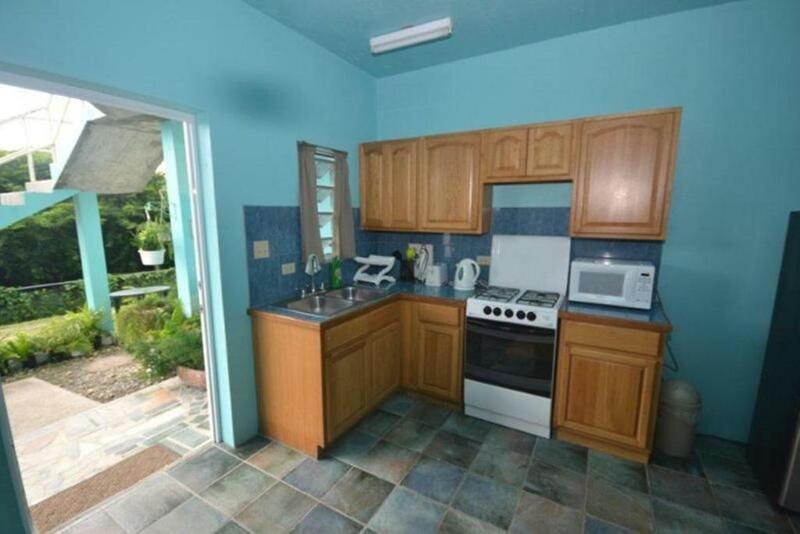 "Great value and able to accommodate a group of us. Host Lionel was happy to do an airport pick up and for a small fee took us to the cricket each day. " "Very affordable accommodation, it is basic but clean and was perfect as a base for watching the test match. " "The owner went the extra mile to meet our EVERY need!" "We were on the ground floor, but, Lionel still helped with our luggage. " "Lionel accommodated our extra request to stop to buy local food. Though our room was on the ground floor, Lionel still helped with our luggage. " "The willingness of the host to understand the budget of the guest and the willingness to provide suitable accomodation"
"We thought the host ( Lionel) was very nice and helpful.the property was very clean and had air conditioning which for us was a must." 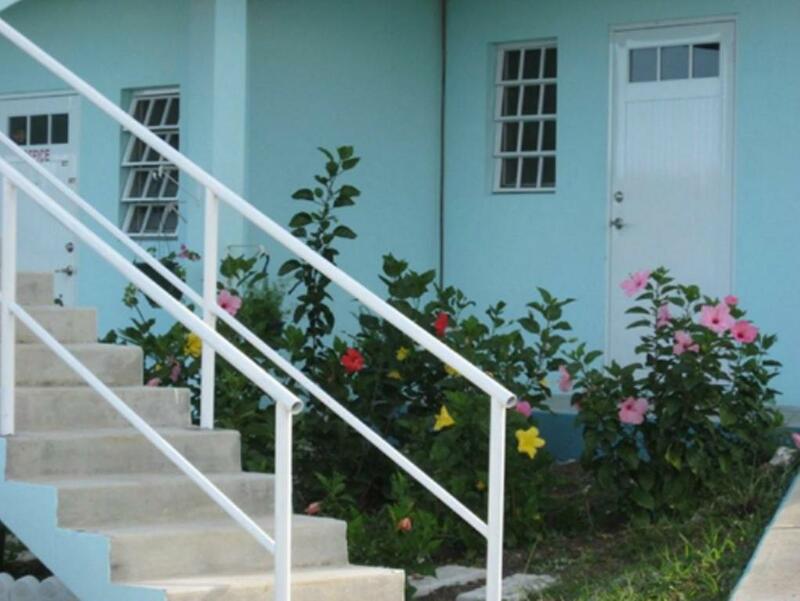 "The garden was lovely fresh air and the owners makes the property more appealing"
"The apartment was very spacious and equipped with basic necessities like toiletries, iron etc as indicated on confirmation page. Pick up to and from the airport was punctual. " Lamblion Holiday Apartments i solrige Antigua har gratis trådløs internetadgang og gratis parkering og ligger kun 7 km fra kysten. Ferieboligerne på Freeman's Village har aircondition, kabel-tv, balkon og ventilator. De har også opholdsområde, garderobe og fuldt udstyret køkken. Gæsterne kan tilberede deres egne måltider i det store supermarked, der ligger blot 5 km derfra. Der findes desuden adskillige restauranter mindre end 2 km fra denne tropiske ejendom. Det berømte kulturarvssted Nelson's Dockyard ligger blot 15 minutters kørsel fra ejendommen, og der ligger en stor golfbane blot 11 km derfra. St. John's centrum, hvor gæsterne kan nyde shopping og sightseeing, ligger blot 13 km fra ejendommen. Ejendommen kan også hjælpe gæsterne med at arrangere udendørs aktiviteter, herunder dykning og snorkling. VC Bird Internationale Lufthavn ligger 9 km fra Lamblion Holiday Apartments. Dette overnatningssted har fået en af de bedste karakterer i Freemans for beliggenheden! Gæsterne synes bedre om den i forhold til andre overnatningssteder i området. Dette overnatningssted har fået en god karakter for "Valuta for pengene" i Freemans! Gæsterne får mere for pengene i forhold til andre overnatningssteder i byen. Lamblion Holiday Apartment har budt gæster fra Booking.com velkommen siden d. 4. jun. 2013. Hvornår ønsker du indkvartering på Lamblion Holiday Apartment? Før du booker Lamblion Holiday Apartment tager imod forespørgsler! Angiv dit ønske i næste trin. Gratis! Op til 2 børn under 12 år kan indkvarteres i eksisterende senge uden beregning. Gratis! Alle børn under 12 år kan indkvarteres i ekstrasenge uden beregning. Yderligere voksne eller større børn kan indkvarteres i ekstrasenge for USD 15 per nat. Lamblion Holiday Apartment tager imod disse kort og forbeholder sig retten til midlertidigt at reservere et beløb på dit kreditkort forud for ankomsten. Du bedes give Lamblion Holiday Apartment besked om, hvornår du regner med at ankomme. Du kan gøre dette ved at skrive til hotellet i boksen "Særlige anmodninger" når du booker, eller du kan kontakte overnatningsstedet. Du finder kontaktoplysningerne på din reservationbekræftelse. 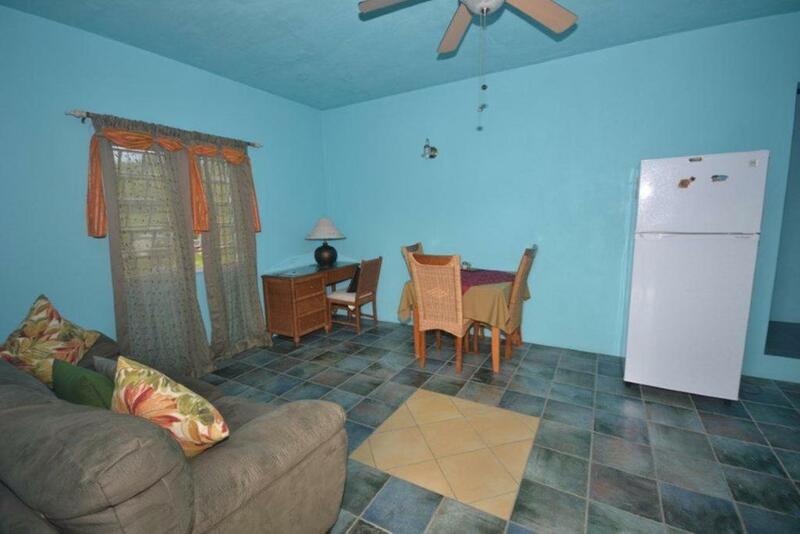 "Great value and able to accommodate a group of us. Host Lionel was happy to do an airport pick up and for a small fee took us to the cricket each day. Very green location and had a lounge and kitchen and fridge so could cook for ourselves." 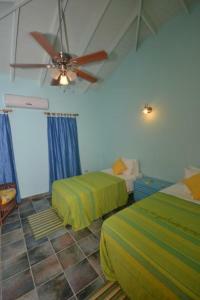 "Very affordable accommodation, it is basic but clean and was perfect as a base for watching the test match. Buses are just a 10 minute walk away to get into St Johns or English Harbour, Lionel is a great host and airport pick up and drop offs were a big plus. 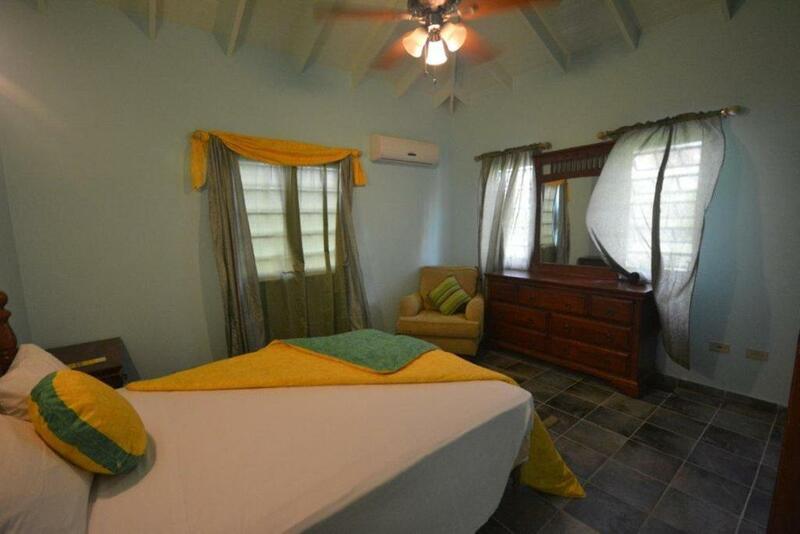 Taxis to and from the beaches mount up each day but if you are an experienced traveller this is a great base location and allows you to enjoy Antigua at the fraction of the cost of the beachside hotels and apartments." "We were on the ground floor, but, Lionel still helped with our luggage. Lionel provided all local transport for the airport transfers, quick island tour, and stops to buy local food and drinks for a reasonable additional fee. 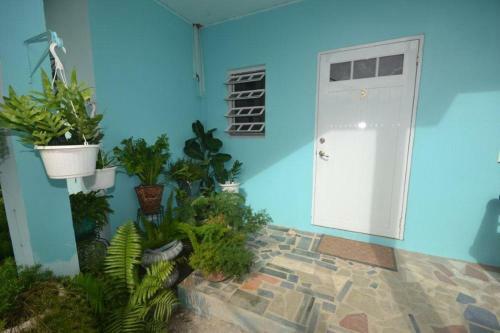 Lionel was very knowledgeable about Antigua as he was a retired teacher among other things." "Lionel accommodated our extra request to stop to buy local food. Though our room was on the ground floor, Lionel still helped with our luggage. The location had a lot of fruit trees and wild chickens which were refreshing and reminded us of our island roots. Lionel responded to our many questions about Antigua and his property." "The apartment was very spacious and equipped with basic necessities like toiletries, iron etc as indicated on confirmation page. Pick up to and from the airport was punctual. Driver was kind enough to permit us time to stop at the supermarket to get a few bits and bobs for our overnight stay."